Image from stockxchange, used with permission. I had a conversation about tobacco with my teenaged son not that long ago. I was pleased to find that he is militantly anti-smoking. When he credited me with his anti-smoking attitude, I was beyond thrilled. Statistically, smoking parents are more likely to have smoking children. I read a UK study that indicated that children of smokers are three times more likely to become smokers themselves. That’s a pretty significant number. I smoked when Andy was younger. At times in my life, I smoked quite heavily. 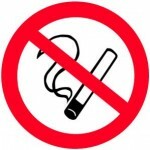 So how did I, his dirty smoker mother, influence my boy to become militantly anti-smoking? When I did finally quit, he was my biggest cheerleader. And now he’s encouraging his school aged friends to either quit smoking or never start in the first place. Did you raise an anti-smoking teen? How did you do it? *Disclaimer: No judgment on those who still smoke. It’s hard to quit. I get that. That doesn’t mean that I want kids to start, though, and sending them the message that smoking is not okay is a great way to do that. While moving old posts from an old blog from 2009, I came across a gem about how I quit smoking that I’d written in August 2009. Considering quitting smoking is something that multitudes of people are still trying to do, I figured that it was still relevant and worth sharing. So here you go!